In order to serve in Africa, we depend on the financial investment of individuals, churches and organizations who see the immediate and eternal value in what we are doing. 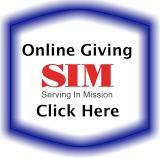 You can give through the SIM website or by mail. SIM has a long history of fiscal responsibility and our needs ($6640/month) are simply those that allow us to live modestly and serve effectively. We are currently lacking just over $800 in monthly support. God has amazingly covered this shortfall in previous months through one-time gifts. That said, we are praying that you would consider joining us as we serve in Kijabe through a monthly gift. If you have any questions, then please send us an email – tim.mcalhaney@sim.org. We can setup a time to speak by phone through our magicJack number – 817-264-3852. If you would like to begin financial support now then there are two options . 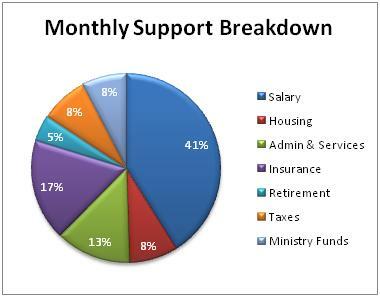 . .
Our “Support Account” covers our monthly expenses . . . rent, groceries, etc. 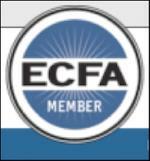 Our “Ministry Account” is for ministry expenses that SIM has confirmed are beneficial . . . planned projects, medical equipment, travel expenses, outreach, etc. Q: How can funds be withdrawn directly from my account? Only with your authorization via your electronic signature. No one can deduct money from your account automatically unless you specifically authorize it. Q: Are electronic contributions risky? No. An electronic contribution is safer than writing a check, and it can’t be lost, stolen or destroyed in the mail. All Electronic Fund Transfer (EFT) transactions are governed by strict national rules and guidelines. Over four billion EFT transactions are processed annually in the United States. Q: When is this automatic contribution be taken from my account? On the signup screens, you can specify whether you want your contribution made one time, in which case the donation would be made from your account on the next business day, or on a recurring basis. You can set up monthly recurring transactions to be made on the 15th of each month. When the 15th falls on a weekend or holiday, the transaction will occur on the next banking day. Q: Can I try out the service by giving one time? Yes. You may try online giving by selecting “One Time” in the frequency drop down box in the signup process. You will see how easy and efficient the process really is. Q: If I don’t write checks, how do I keep my checkbook balance straight? Your contribution is made on a pre-established day, so you can deduct it from your check record then. Q: How can I keep a record of the amount I have contributed? Your bank statement will include an itemized list of automatic gifts given from your account. SIM USA will continue to provide you with a personal receipt for your tax records. Q: What if I change banks or accounts or want to change the amount of my contribution? You can change your giving choices at any time through the ‘Give Online’ page accessed through the www.sim.org web page. Simply click on the link – Change or Cancel your recurring donation – then enter your email address and password. Q: Is there any charge to me from my bank to give online? No. Electronic fund transfers carry no bank fees. Q: Whom do I talk to if I have more questions? The SIMUSA Donor Care Dept. at (800) 521-6449 will be glad to answer any other questions you may have.